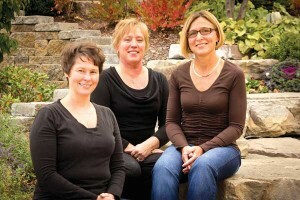 Tag Archive | "Northern Physical Therapy"
Northern Physical Therapy’s Cathy DeBerti (left) is a Physical Therapist Assistant with over 25 years of experience, Cindy Heethuis (center) is a Patient Care Specialist, and Julie Blodgett (right) is a Physical Therapist with over 25 years of experience. Northern Physical Therapy will be hosting their third annual Women’s Health Educational Event at their Sparta clinic (31 Ida Red) on Thursday, May 16 from 5:30-7pm. The open house-style event, which coincides with Women’s Health Week, will feature wine and desserts, and guests are encouraged to bring a friend. Physical Therapists and Women’s Health Specialists will be on hand to discuss balance & falls, joint protection, athletic injuries, lymphedema, spine care, incontinence, and other women’s health topics. RSVP for the event, which is free of charge, by May 13 by visiting www.northernpts.com/rsvp. Call 616.887.5152 for more information. Northern Physical Therapy is a physical and occupational therapy rehabilitation facility with five locations. In addition to therapy they also provide prevention and wellness services such as massage, pool classes, athletic training, aquatic therapy, and functional capacity evaluations. More at www.northernpts.com. Northern Physical Therapy, a local physical and occupational therapy rehabilitation facility, will host an open house celebrating good health and the Cedar Springs community on Thursday, March 22 from 5:00pm to 7:00pm. Feel free to bring a friend to the Northern Physical Therapy Cedar Springs location (308 S. Main) for a casual evening with drinks, appetizers and giveaways. Therapists who specialize in Women’s Health, Office Ergonomics, and Sports & Running will be on hand to inform and answer all of your questions related to these important issues. RSVP by March 19 by contacting Northern Physical Therapy at 616.696.6555, northernpts.com/rsvp, or rsvp@northernpts.com.